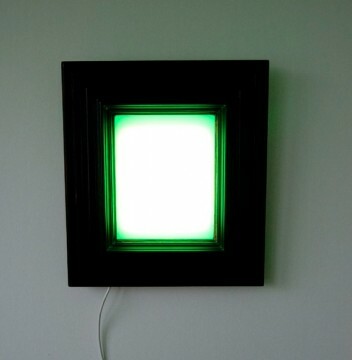 It consists of a wooden frame with a diffusion panel, behind there are 90 LEDs of 1 Watt each. 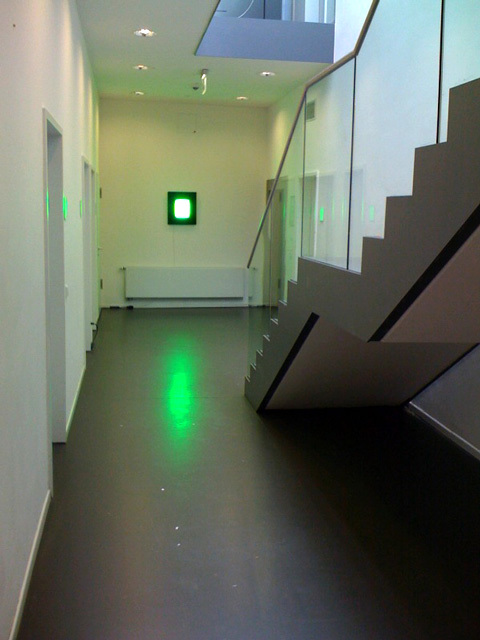 The light output is nearly 45.000 candela which fills its surroundings with monochromatic green. After about 20 to 30 seconds the adaptive seeing of human beings has changed its illuminant so as soon as you walk away from the green light you will notice a distinct pink tint everywhere. Many thanks to Guillermo Heinze for setup and taking pictures.